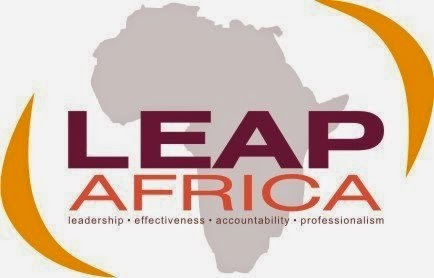 LEAP Africa, a non-governmental organization has been commended for preparing Nigerian youths for the work force. This was possible through an employability workshop organized by LEAP Africa sponsored by Citi foundation, held on Wednesday, March 04, 2015 at ChamsCity, 2A, Isaac John Street, Ikeja GRA, Lagos with about 100 Nigerian undergraduates and graduates in attendance. Olufunmilola Bucknor, current Human Resources Manager at Unilever Nigeria was another facilitator with vast experience of managing people at major local companies and multinationals. She leaked the secret of what employers want to see in prospective employees apart from the projection made on CV. 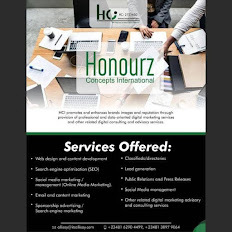 The net partnership co-coordinator for Jobberman.com, Mr. David Jaiyeola gave a perfect picture of what a potential employee’s CV should look like; he also stated the Do’s and the Don’t’s of cover letters. One assignment the attendees were left with is to find the mystery behind “The Human Knot”, demystify it and apply it to life henceforth. Thanks to Amaris Ifedi who led that exercising session. It would have been too much of mistake to leave out the financial management aspect. Dr. Ore Shokefun, the head of Assessment One was present with her team to teach people a one-on-one applicable method of spending and saving money. The last session focused on keeping one’s integrity on a job, Ahmed Alaga facilitated this session and shared extensively on personal and work ethics. At no time of the workshop were questions unattended too and the program coordinators, Mrs. Ukwori Ejibe and Ms. Amaris Ifedi unreservedly expressed LEAP’s objective with the programme to prepare the Nigerian youths for the work force within and outside Nigeria. Two of LEAP AFRICA's publications - HOW TO GET A JOB and CRITICAL STRATEGIES FOR BUILDING A SUSTAINABLE ORGANIZATION were provided as additional resource to attendees. Since inception in 2002, LEAP Africa has been standing out for leadership, Effectiveness, Accountability and Professionalism, just as the organization projects and is continually dedicated to supporting of the cause of Nigerian youths. If only 40, 000 out of 400, 000 Nigerians graduates get employed yearly, then LEAP Africa can boost of having trained above 50 percent of those who will get the job, and this can continue to be, only if this sort of impactful workshop is made consistent." ADEBOTE, Oluwaseyifunmi and Kehinde Ayeni.